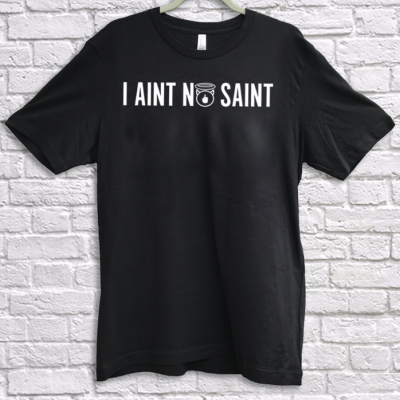 F*CK NO Ladies Vest from I Aint No Saint. No explanation needed – the F*CK NO Ladies relaxed Vest from I Aint No Saint can be worn wherever you need to tell people exactly how you are feeling. The F*CK NO Ladies relaxed Vest is great for when you need to say F*CK NO without saying a word. Printed on a 100% combed and ringspun Cotton Ladies relaxed vest. This Tank top ia a super relaxed fit with no sleeves.